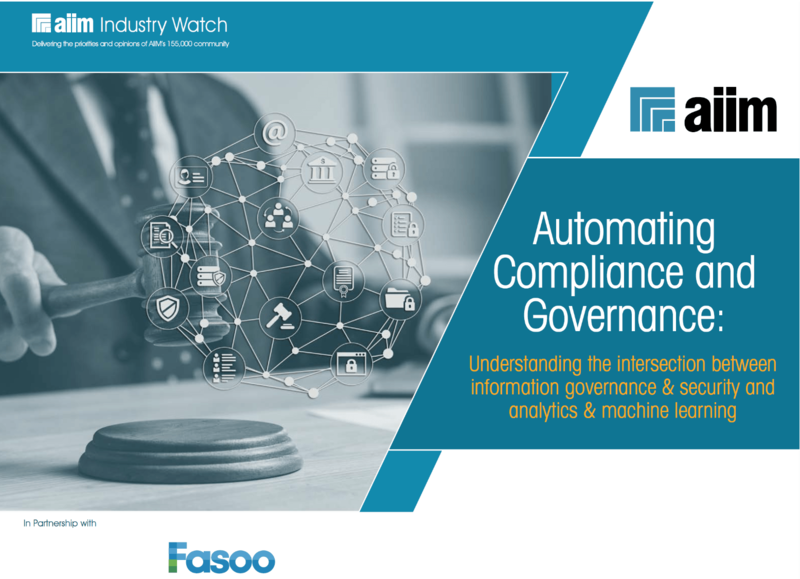 AIIM Report: Automating Governance and Compliance – Fasoo U.S. According to the recent AIIM Report, Automating Compliance and Governance, unstructured data is growing at exponential rates and organizations are challenged to keep pace. Download the report on the right to learn more about key findings around: document classification & PII, ROT data, and information security/governance.